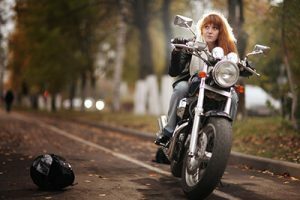 MOTORCYCLE INSURANCE FACTS-BE A "PROTECTED RIDER"
Being a “protected rider” means knowing what your rights as a motorcyclist are, and what avenues of recourse are available to you if you get injured in an accident caused by a negligent driver. Remember, knowledge is power, and clearly understanding your rights might be the key to receiving much needed compensation after an accident, compensation you might need to pay bills while you recover from your injuries. Be sure to scout different quotes from different carriers before deciding on a policy―it could save you a lot of money. And keep in mind that you do have the option to maximize your protection with additional types of coverage. NOTE: Although med pay coverage is not always offered to motorcyclists by their insurance companies – it is available to motorcyclists! We highly recommend you carry med pay coverage and not just the minimum coverage available. If you had underinsured motorcycle insurance on your policy, it would eliminate the gap between what the guilty driver could pay and the amount you owe. That’s what this coverage does: It fills the hole between an underinsured driver’s liability limits and the costs incurred by you from an accident. Without this protection, you’d be stuck paying for the extra expenses. Of course, you could sue the other driver. However, collecting from a successful lawsuit can be difficult, and legal action can drain your time and energy. Bodily Injury Pays for your hospital bills, doctor’s visits, prescription drugs, physical therapy, home-health care, lost wages, and related expenses. Property Damage: Covers the cost to repair or replace your property, such as your motorcycle. In the example mentioned above, your underinsured driver coverage would pay your remaining expenses―but only up to the limits of your policy. So, how much underinsured protection do you need? You’ll have to comply with your state’s underinsured driver insurance requirements, for starters. That’s assuming your state has any requirements about this; most states don’t have any guidelines concerning this coverage. But, beyond that, it’s wise to consult with an insurance agent or other qualified financial professional to determine what’s an appropriate amount for you to carry. Regardless, you should have more uninsured motorcycle coverage than the minimum limits prescribed by the states, as these limits are inadequate in most cases. Any carrier that provides insurance coverage for motorcyclists should offer underinsured protection. The good news? Relatively speaking, underinsured motorist coverage is inexpensive. Our office is committed to the motorcycle riding community and dedicated to providing motorcyclists with the best legal services available. Our attorneys are natives of Colorado and have over 75 years of combined experience dealing with insurance companies and representing victims of motorcycle accidents. We will help you through the claims and legal process and take care of those issues for you so that you can focus on your recovery. The other driver’s insurance company will have a team of lawyers, adjusters, and specialists, whose job it is to minimize any payout to injured parties. This is why it is important to promptly call a qualified lawyer to work on your behalf. Rely on Rector Law Firm’s experience to protect you and your rights. Call us today at (719) 249-5572, or fill out the confidential contact form on this page.